Moving to Ireland for work? Let us walk you through it! Ireland, as mentioned in our earlier blogs, is booming with employment opportunities and the IT sector is one of the larger contributors to this growth. This growth makes Ireland more attractive to candidates from different locations and we are looking at talent pouring in from different places. Relocating to Ireland is exciting and a fresh start is wonderful, so we are going to go through a few things on the cost perspective to best prepare you for this move. Finding an adequate housing situation is the first step in every relocation scenario. Whether you are moving inter country or moving within Ireland, having prior knowledge of what to expect is always beneficial. The cost of housing in Ireland can be essentially divided into two categories: First, moving to Dublin and second, moving to cities or towns outside Dublin. With the number of people moving into Dublin city, there has been a drop in availability of properties and a significant rise in the prices. Sorting out your living situation should always be your first move. Dublin is definitely at the centre of growth, but places like Galway, Sligo and Limerick are on the rise due to the increase in demand for job candidates in different fields. 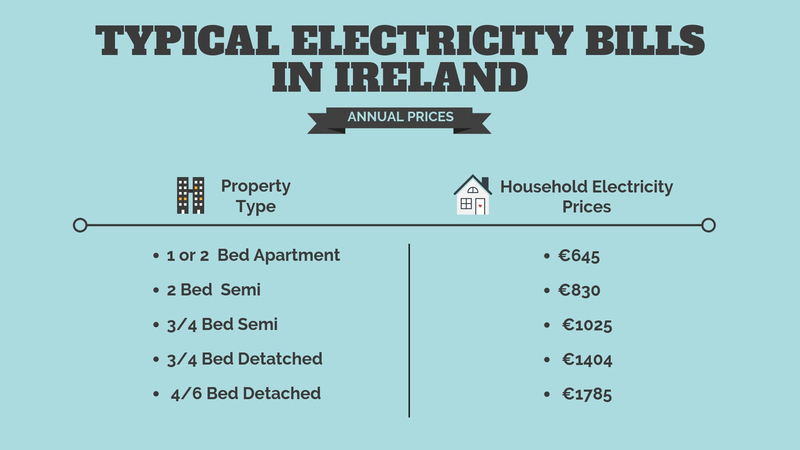 With the help of thejournal.ie and daft.ie, the infographic below will help shed light on the prices you can expect when moving to Ireland. If you are looking to rent out properties the most popular websites are daft.ie, rent.ie, myhome.ie. Once you have your living situation in place, next comes the related expenditure. We’ll draw a simple picture of what you can expect in terms of a bill when it comes to utilities while moving to Ireland. With the help of Money Guide Ireland and by the figures reflected by Commission for Regulation of Utilities (CRU) it has been established that 4200kWh is the official annual average electricity usage for households in Ireland. To get a hold on the best electricity plan and compare different deals Switcher has concrete information. Hope the interpretation below will give you some insight into what to expect. A key consideration for any job seeker considering relocating to Ireland will be the salary they will earn. The salary and package may look attractive, but have you accounted for the tax? The tax levied on your income is deducted by your employer on behalf of the Irish Government. It is referred to as the Pay As You Earn (PAYE) Tax. Citizens Information has a detailed breakdown of information revolving around the income tax framework in Ireland. 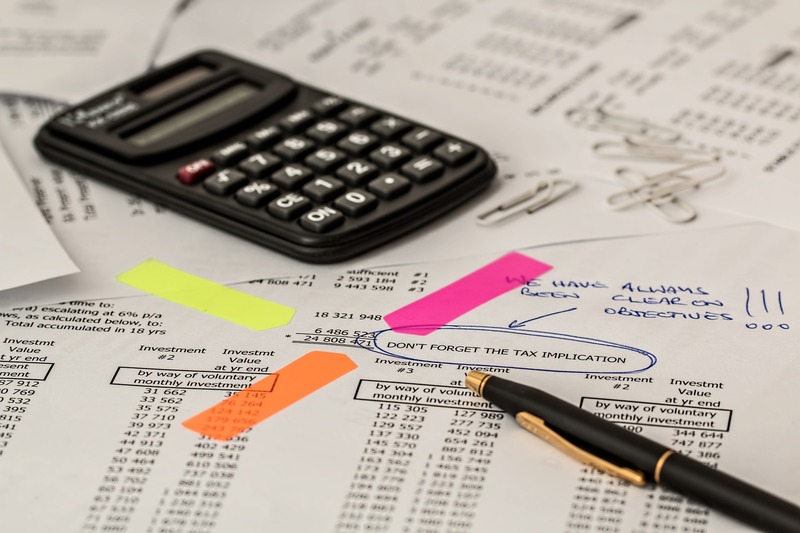 An additional tool that is highly insightful is the PWC income tax calculator as it does all the tedious calculations for you and provides you precise data on what to expect as a monthly disposable income. Everyone takes into consideration the big and obvious elements while moving to a new location. But the small things add up as well, and need to be accounted for. Ireland has a lot to offer in terms of entertainment with a vibrant culture of arts, theatre and the written word. The hospitality in Ireland is world renowned and anyone who moves to Ireland should be open to enjoying what their local areas have to offer. 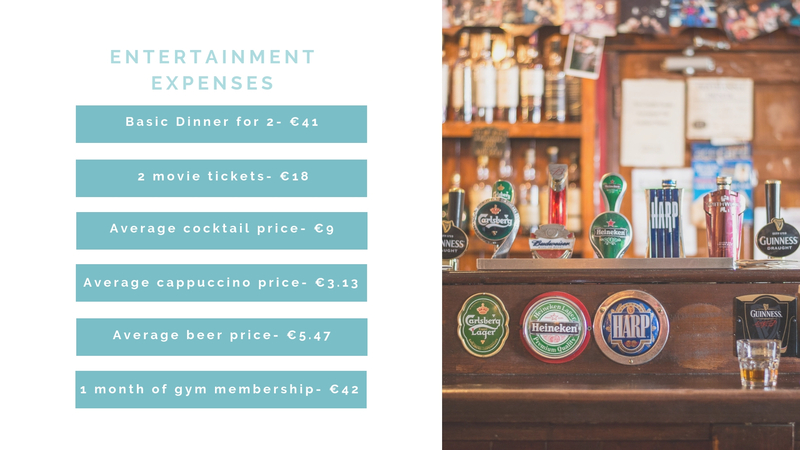 Below we have illustrated a few things to give you a better picture as to what the cost could be during a night-out in Dublin city. Hopefully, everything above gives you a glimpse into what to expect while moving to Ireland. Stay tuned for more insights on the recruitment and job front, we shall keep you posted on all the essentials. To stay up-to-date with the latest developments in the IT sector and the recruitment environment follow us on LinkedIn, Facebook, Instagram and Twitter.